Earls now offers the popular convoluted hose with its high quality smooth bore PTFE Ultra Flex. Earls Convoluted hose also works on BMRS hose ends. 680006ERL -6 Earls UltraPro Series PTFE Racing Hose. Lightweight Polyester Braided Hose. For use with only Earls Ultra Pro & BMRS crimp and reusable Hose Ends SOLD BY THE FOOT IN CONTINUOUS LENGTH. 680008ERL -8 Earls UltraPro Series PTFE Racing Hose. Lightweight Polyester Braided Hose. For use with only Earls Ultra Pro & BMRS crimp and reusable Hose Ends SOLD BY THE FOOT IN CONTINUOUS LENGTH. 680010ERL -10 Earls UltraPro Series PTFE Racing Hose. Lightweight Polyester Braided Hose. For use with only Earls Ultra Pro & BMRS crimp and reusable Hose Ends SOLD BY THE FOOT IN CONTINUOUS LENGTH. 680012ERL -12 Earls UltraPro Series PTFE Racing Hose. Lightweight Polyester Braided Hose. For use with only Earls Ultra Pro & BMRS crimp and reusable Hose Ends SOLD BY THE FOOT IN CONTINUOUS LENGTH. 680016ERL -16 Earls UltraPro Series PTFE Racing Hose. Lightweight Polyester Braided Hose. For use with only Earls Ultra Pro & BMRS crimp and reusable Hose Ends SOLD BY THE FOOT IN CONTINUOUS LENGTH. 680020ERL -20 Earls UltraPro Series PTFE Racing Hose. Lightweight Mono Filament Braided Hose. For use with only Earls Ultra Pro & BMRS crimp and reusable Hose Ends SOLD BY THE FOOT IN CONTINUOUS LENGTH. Earls UltraPro Series PTFE Poly Braid Hose - Pre-cut 6ft. 680606ERL -6 6 ft Earls UltraPro Series PTFE Racing Hose. Lightweight Polyester Braided Hose. For use with only Earls Ultra Pro & BMRS crimp and reusable Hose Ends Pre-cut, 6ft. 680608ERL -8 6 ft Earls UltraPro Series PTFE Racing Hose. Lightweight Polyester Braided Hose. For use with only Earls Ultra Pro & BMRS crimp and reusable Hose Ends Pre-cut, 6ft. 680610ERL -10 6 ft Earls UltraPro Series PTFE Racing Hose. Lightweight Polyester Braided Hose. For use with only Earls Ultra Pro & BMRS crimp and reusable Hose Ends Pre-cut, 6ft. 680612ERL -12 6 ft Earls UltraPro Series PTFE Racing Hose. Lightweight Polyester Braided Hose. For use with only Earls Ultra Pro & BMRS crimp and reusable Hose Ends Pre-cut, 6ft. 680616ERL -16 6 ft Earls UltraPro Series PTFE Racing Hose. Lightweight Polyester Braided Hose. For use with only Earls Ultra Pro & BMRS crimp and reusable Hose End Pre-cut, 6ft. 680620ERL -20 6 ft Earls UltraPro Series PTFE Racing Hose. Lightweight Mono Filament Braided Hose. For use with only Earls Ultra Pro & BMRS crimp and reusable Hose Ends Pre-cut, 6ft. Earls UltraPro Series PTFE Poly Braid Hose - Pre-cut 10ft. 681006ERL -6 10 ft Earls UltraPro Series PTFE Racing Hose. Lightweight Polyester Braided Hose. For use with only Earls Ultra Pro & BMRS crimp and reusable Hose Ends Pre-cut, 10ft. 681008ERL -8 10 ft Earls UltraPro Series PTFE Racing Hose. Lightweight Polyester Braided Hose. For use with only Earls Ultra Pro & BMRS crimp and reusable Hose Ends Pre-cut, 10ft. 681010ERL -10 10 ft Earls UltraPro Series PTFE Racing Hose. Lightweight Polyester Braided Hose. For use with only Earls Ultra Pro & BMRS crimp and reusable Hose Ends Pre-cut, 10ft. 681012ERL -12 10 ft Earls UltraPro Series PTFE Racing Hose. Lightweight Polyester Braided Hose. For use with only Earls Ultra Pro & BMRS crimp and reusable Hose Ends Pre-cut, 10ft. 681016ERL -16 10 ft Earls UltraPro Series PTFE Racing Hose. Lightweight Polyester Braided Hose. For use with only Earls Ultra Pro & BMRS crimp and reusable Hose Ends Pre-cut, 10ft. 681020ERL -20 10 ft Earls UltraPro Series PTFE Racing Hose. Lightweight Mono Filament Braided Hose. For use with only Earls Ultra Pro & BMRS crimp and reusable Hose Ends Pre-cut, 10ft. Earls UltraPro Series PTFE Poly Braid Hose - Pre-cut 20ft. 682006ERL -6 20 ft Earls UltraPro Series PTFE Racing Hose. Lightweight Polyester Braided Hose. For use with only Earls Ultra Pro & BMRS crimp and reusable Hose Ends Pre-cut, 20ft. 682008ERL -8 20 ft Earls UltraPro Series PTFE Racing Hose. Lightweight Polyester Braided Hose. For use with only Earls Ultra Pro & BMRS crimp and reusable Hose Ends Pre-cut, 20ft. 682010ERL -10 20 ft Earls UltraPro Series PTFE Racing Hose. Lightweight Polyester Braided Hose. For use with only Earls Ultra Pro & BMRS crimp and reusable Hose Ends Pre-cut, 20ft. 682012ERL -12 20 ft Earls UltraPro Series PTFE Racing Hose. Lightweight Polyester Braided Hose. For use with only Earls Ultra Pro & BMRS crimp and reusable Hose Ends Pre-cut, 20ft. 682016ERL -16 20 ft Earls UltraPro Series PTFE Racing Hose. Lightweight Polyester Braided Hose. For use with only Earls Ultra Pro & BMRS crimp and reusable Hose Ends Pre-cut, 20ft. 682020ERL -20 20 ft Earls UltraPro Series PTFE Racing Hose. 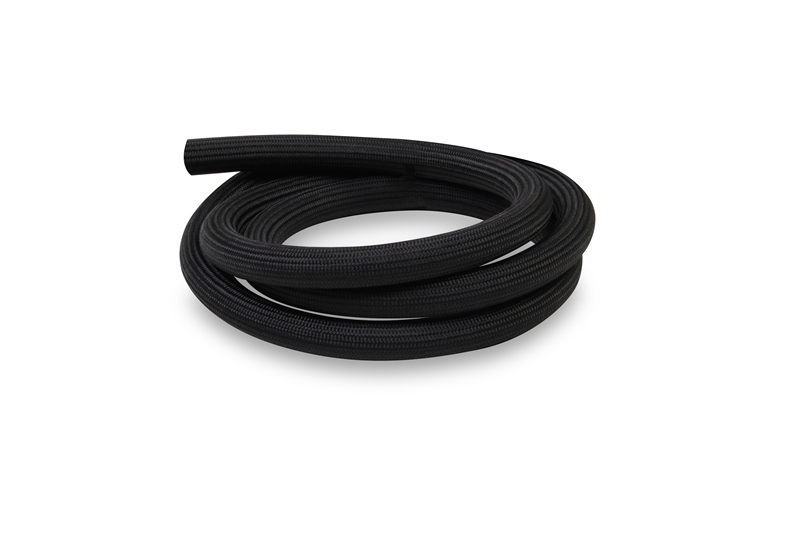 Lightweight Mono Filament Braided Hose. For use with only Earls Ultra Pro & BMRS crimp and reusable Hose Ends Pre-cut, 20ft. Earls UltraPro Series PTFE Poly Braid Hose - Pre-cut 33ft. 683306ERL -6 33 ft Earls UltraPro Series PTFE Racing Hose. Lightweight Polyester Braided Hose. For use with only Earls Ultra Pro & BMRS crimp and reusable Hose Ends Pre-cut, 33ft. 683308ERL -8 30 ft Earls UltraPro Series PTFE Racing Hose. Lightweight Polyester Braided Hose. For use with only Earls Ultra Pro & BMRS crimp and reusable Hose Ends Pre-cut, 33ft. 683310ERL -10 33 ft Earls UltraPro Series PTFE Racing Hose. Lightweight Polyester Braided Hose. For use with only Earls Ultra Pro & BMRS crimp and reusable Hose Ends Pre-cut, 33ft. 683312ERL -12 33 ft Earls UltraPro Series PTFE Racing Hose. Lightweight Polyester Braided Hose. For use with only Earls Ultra Pro & BMRS crimp and reusable Hose Ends Pre-cut, 33ft. 683316ERL -16 33 ft Earls UltraPro Series PTFE Racing Hose. Lightweight Polyester Braided Hose. For use with only Earls Ultra Pro & BMRS crimp and reusable Hose Ends Pre-cut, 33ft. 683320ERL -20 33 ft Earls UltraPro Series PTFE Racing Hose. Lightweight Mono Filament Braided Hose. For use with only Earls Ultra Pro & BMRS crimp and reusable Hose Ends Pre-cut, 33ft.